As the Baby Boom generation has begun to retire, more attention is being paid to retirement savings and how much retirees will have to live on. In addition to Social Security, a primary source of retirement funds for decades has been pension plans, also known as Defined Benefit (DB) plans. Over the years private sector companies have shifted away from traditional DB plans to Defined Contribution (DC) plans, including 401k Plans. As employers and employees have shifted their assets from traditional pension plans to 401k plans, the onus of funding and managing these retirement assets has migrated to the individual employee. It used to be that employees were automatically covered by pension plans and funded on their behalf. Today, most 401k plans are voluntary and funded not by employers but by employees themselves. Many believe that the shift from traditional pensions to 401k's has made it difficult for employees to save. 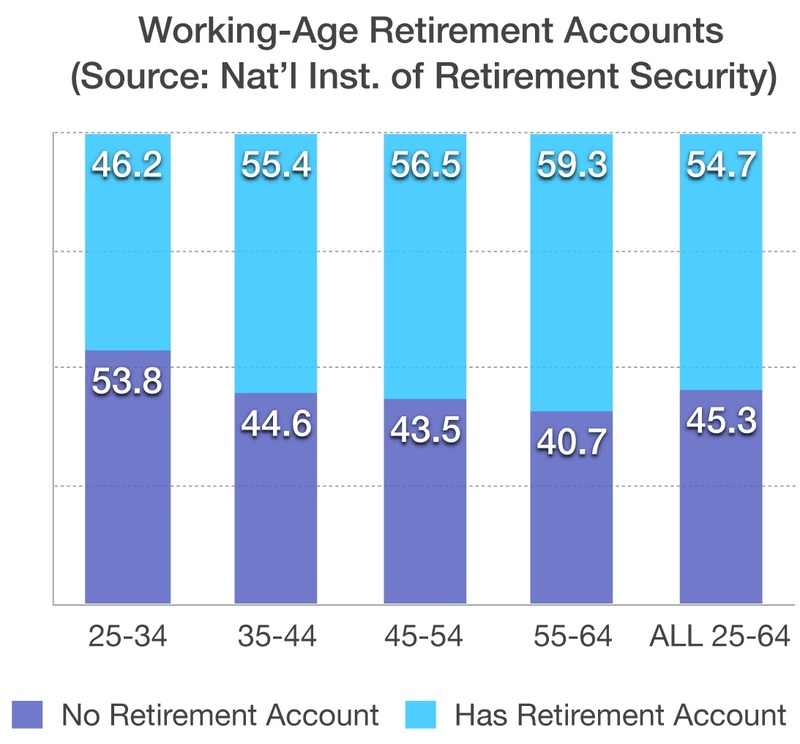 When the average length of employment with a company was much longer years ago, it was feasible to have employers fund their employee’s retirement accounts. The benefit is also used as an incentive for employees. Modern day dynamics have made employees much more mobile, making 401k plans more popular and practical as retirement savings vehicles.